Has the winter left your skin looking and feeling dry? I always feel that the cold weather zaps the radiance from my skin and leaves it looking dull and lifeless. 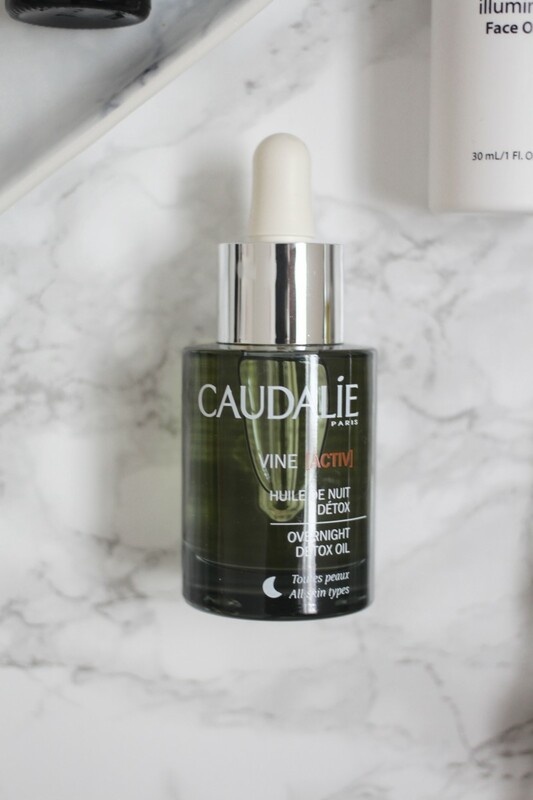 However, finding a good face oil has helped me combat that dreaded winter chill and with complexion boosting properties, my skin stays soft, smooth and hydrated in all conditions. 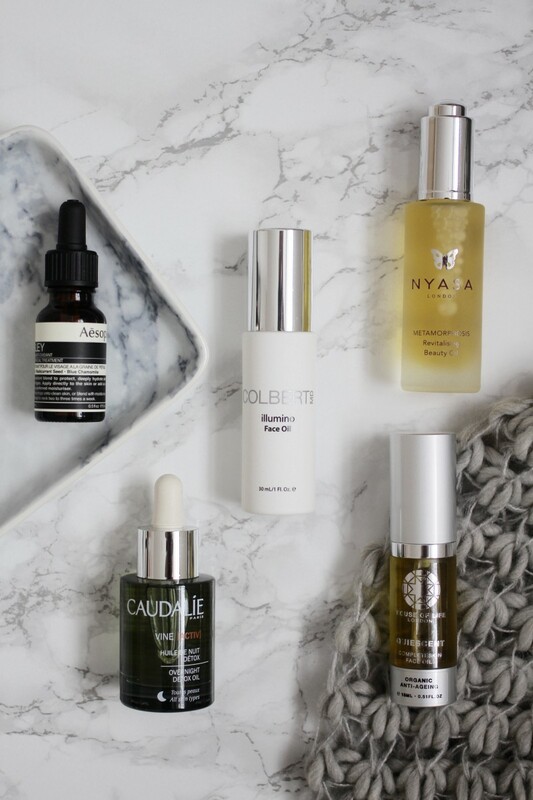 In today’s post, I am sharing five of my favourite face oils that, have not only given my skin a massive radiance boost, but has also improved the texture and overall brightness. 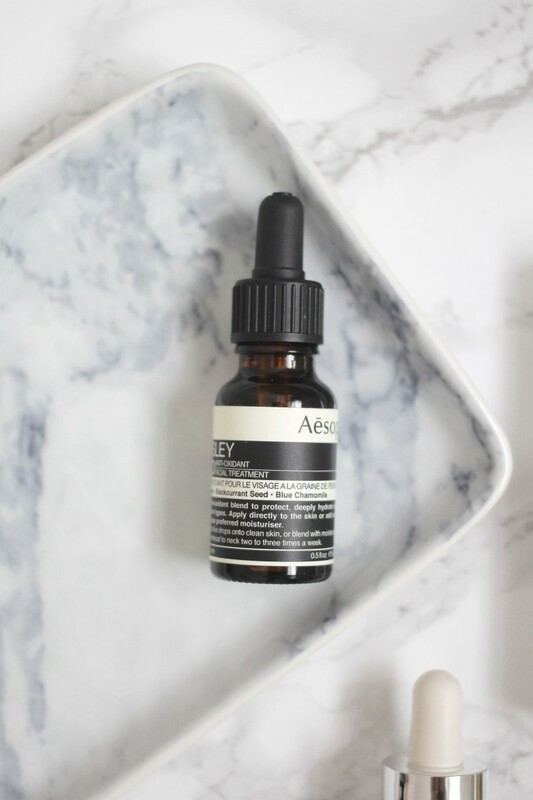 For skin that is super parched, this anti-oxidant facial treatment from Aesop is honestly a life saver. It contains nine anti-oxidant ingredients and fatty acids that absorb deeply in to the skin leaving it smooth, supple and extremely hydrated. The scent of the oil is quite herby which may not be to everyone’s taste, but the effects of this is instant and as soon it sinks in, my skin feels so replenished and moisturised, it’s unreal. The newest added to my collection, this overnight detox oil is one of a kind. If I have a big event, work meeting or generally feel a bit rubbish about my skin, I slapped on a layer of this and leave it on overnight. The next day, my skin is glowing, radiant and super soft to touch. Living up to its name, as soon as I apply this, it feels like its detoxifying the skin and promotes skin regeneration to reveal smoother complexion. Do you want that glow? Oh, this will give you that glow for sure. Just going to put it out there now that this face oil is the most expensive of the bunch, but in my opinion, it is worth every penny. 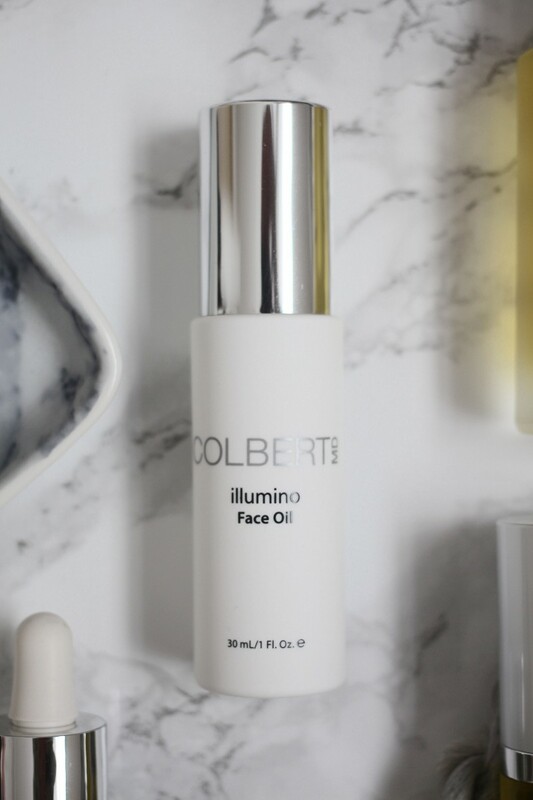 The lightweight, soothing oil absorbs in to the skin instantly leaving no residue behind whatsoever, it also illuminates and rejuvenates thanks to both Retinol and Vitamin C which works on a topical level. The tone and overall texture of my skin has never been better since I started using this and it really gives me that radiant glow I have always wanted. 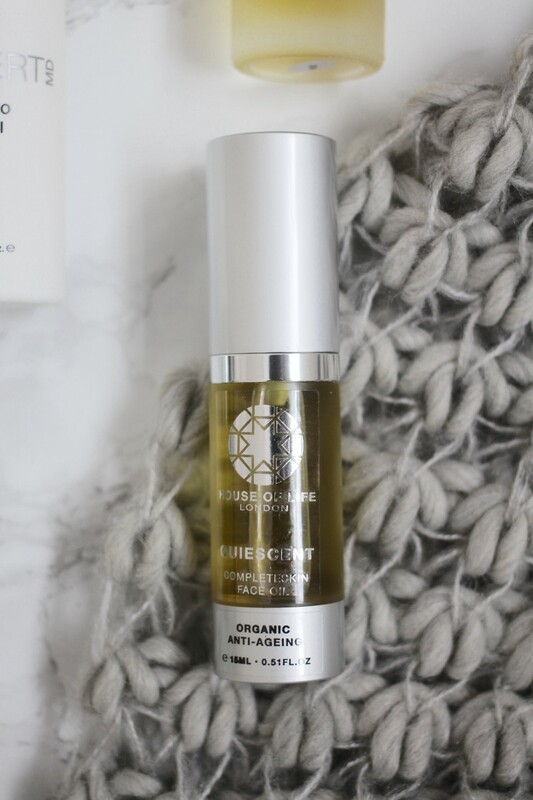 If anti-ageing properties is the main point you look for when investing in face oils, House of Life is the brand I would recommend, especially the CompleteSkin range which is focused on anti-ageing. Filled with nutritious botanicals, this face oil boosts elasticity, firms the skin and improves overall radiance. A little goes a long way with this one also, so it will definitely last and the scent is incredible, it’s so soothing and relaxing, I love it! 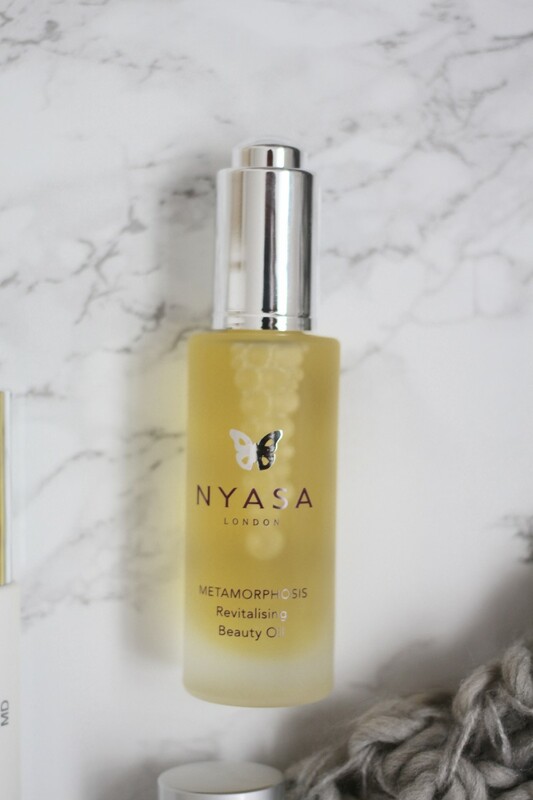 Nyasa is a brand that I only heard of at the start of this year, but I am already head over heels for it. This beauty oil is so dreamy and works very well with my oily/combination skin. It deeply nourishes, boosts elasticity and leaves my skin looking dewy every single time I use it. It absorbs quickly, so I can apply my make-up straight after and I have noticed that it gives my complexion such an amazing radiant glow. This is stuff is addictive, I’m telling you now. Have you tried any of these face oils before? What are your favourite ones?